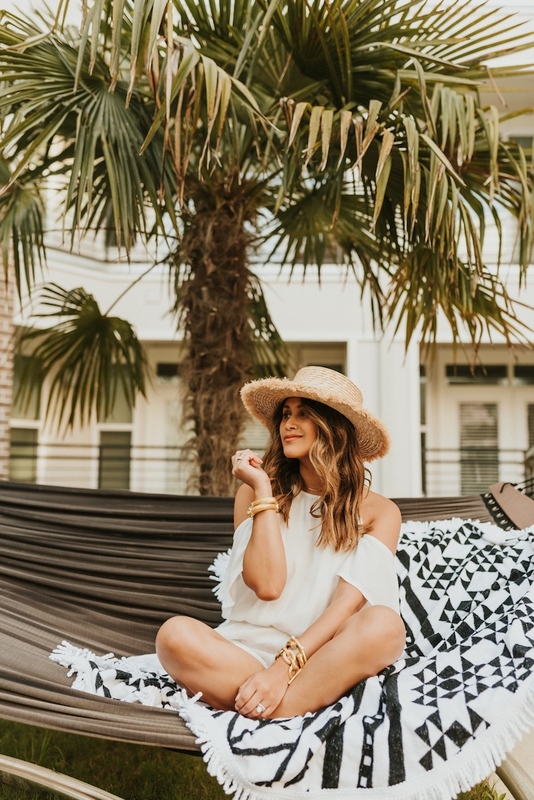 Hey everyone, I’m so glad that we’re officially in full on spring mode and spring break is just around the corner, which means it’s time to start shopping for resortwear outfits. 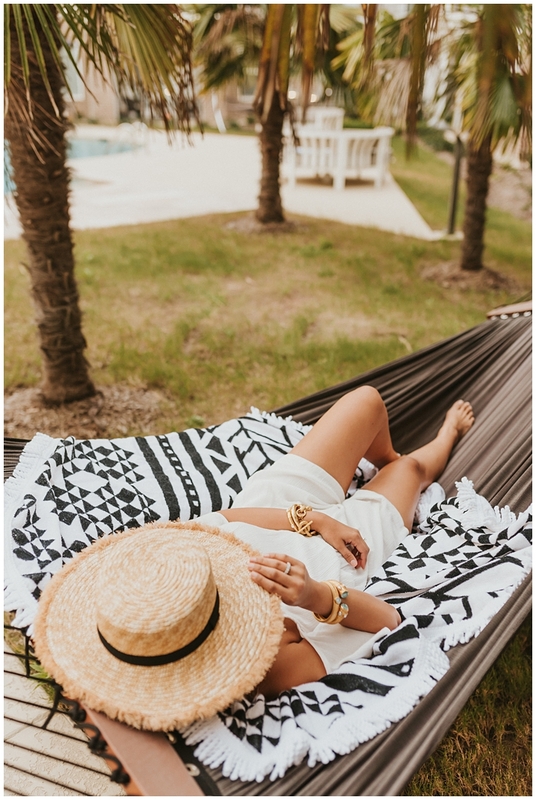 I found the cutest coverups, accessories and resortwear looks at Mud Pie and the best part is that they are all budget friendly too. Scroll through this post to see how I styled 3 different spring break outfits from Mud Pie. 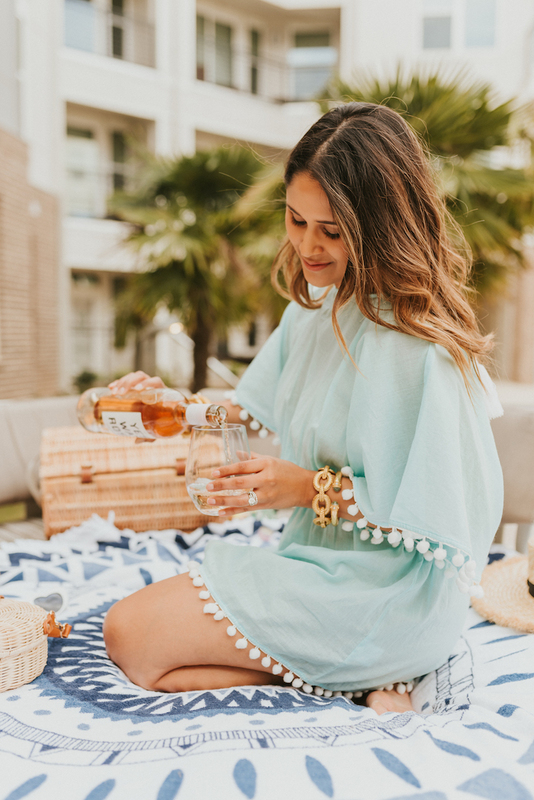 The second I saw the back of this coverup, I knew I needed it! 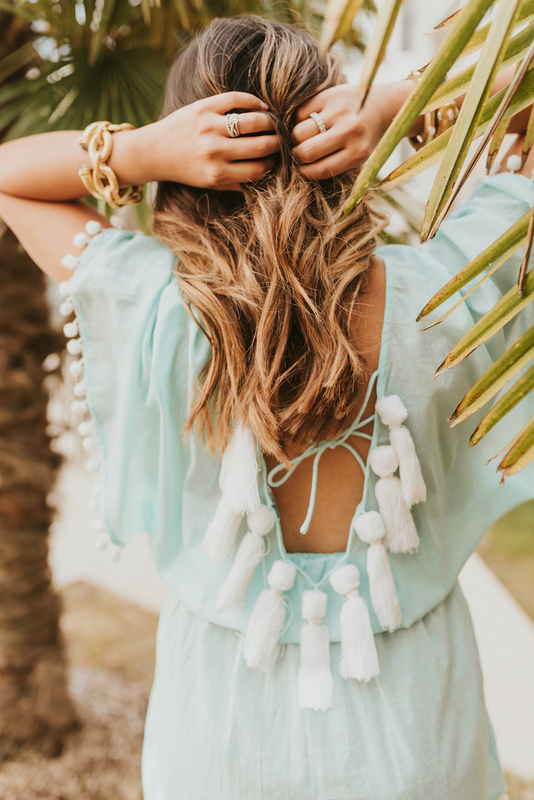 The open back with tassel details is everything. Plus the white pom pom trim along the sleeves and hem is precious. It’s also available in a couple of other colors. Mud Pie also offers tons of other coverup options if tassels aren’t your thing. 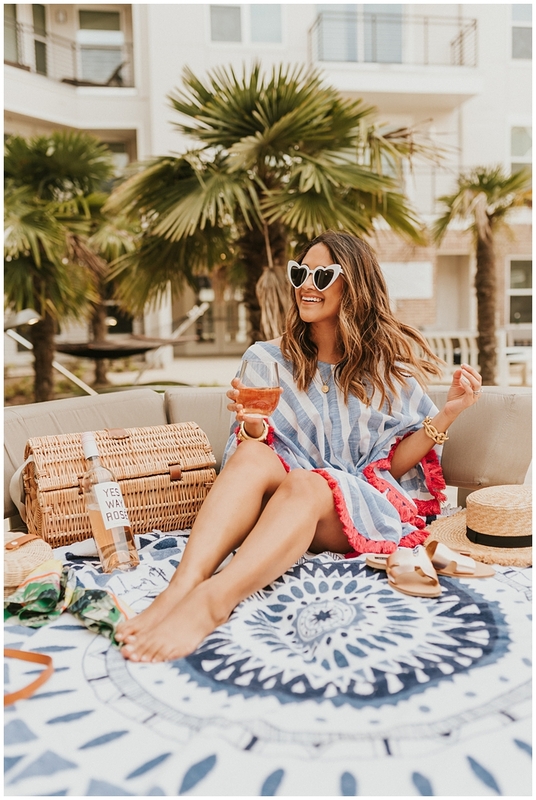 How fun is this blue and white striped coverup trimmed with pink tassles? 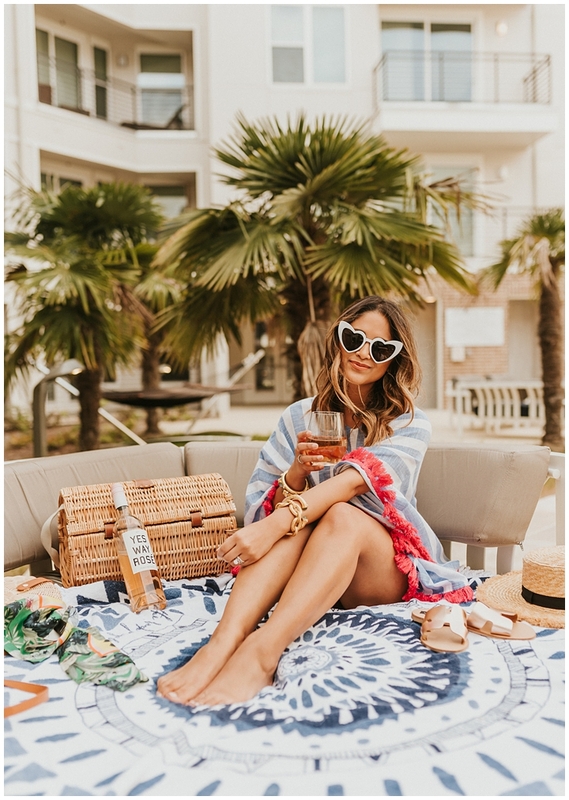 It’s perfect for throwing over your swimsuit and it’s even cute to wear with a pair of cutoff shorts and sandals around beachy and resort areas. As for this boater hat, it may be one of my new favorite accessories. 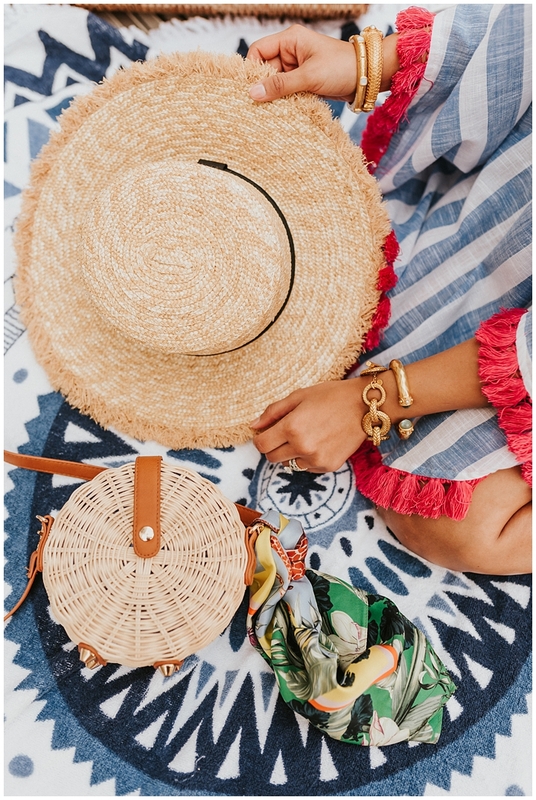 I just love the raw raffia style of it and it actually fits comfortably. Sometimes boater hats are kind of awkwardly stiff and look too big, but this one fits perfectly. Oh yea and it’s only $28 so it’s pretty much a no brainer. 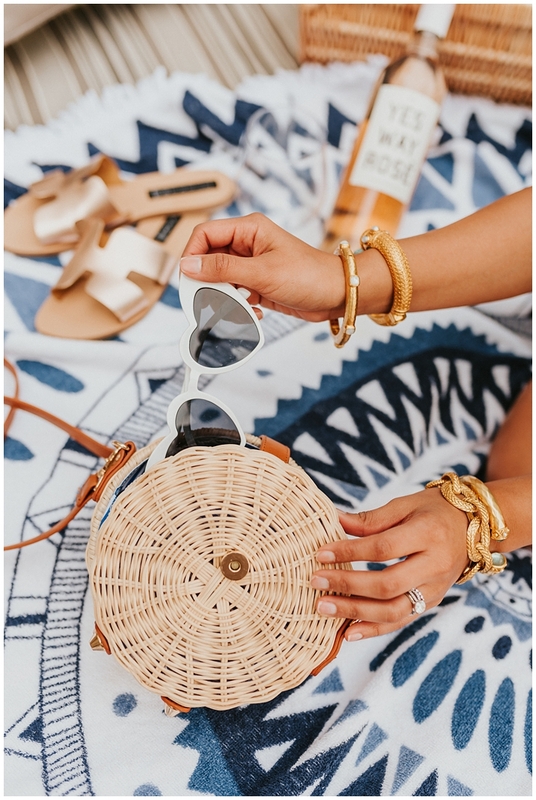 If you don’t already have a rattan circle bag for spring and summer, you need to get on that. 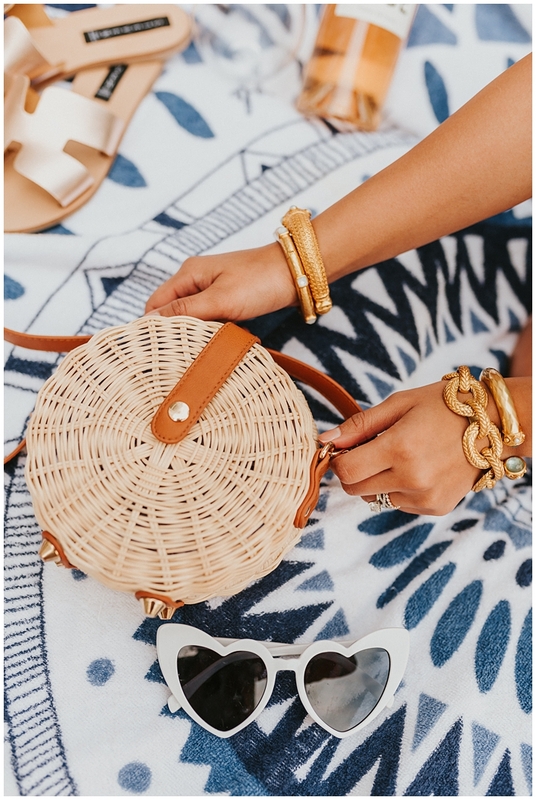 It’s the perfect finishing touch to all of your springy and beachy outfits! I highly recommend this crossbody bag from Mud Pie. Especially because it’s under $55. This cold shoulder romper is super comfortable and casual enough for all day wear. Plus it has pockets and can easily be dressed up for night time with some wedges and a clutch. It also comes in a few other colors and for size reference, I’m wearing the size small. This post is in partnership with Mud Pie, a brand I love. All opinions and selections here are my own. Thank you for supporting the affiliate posts who make this blog possible.